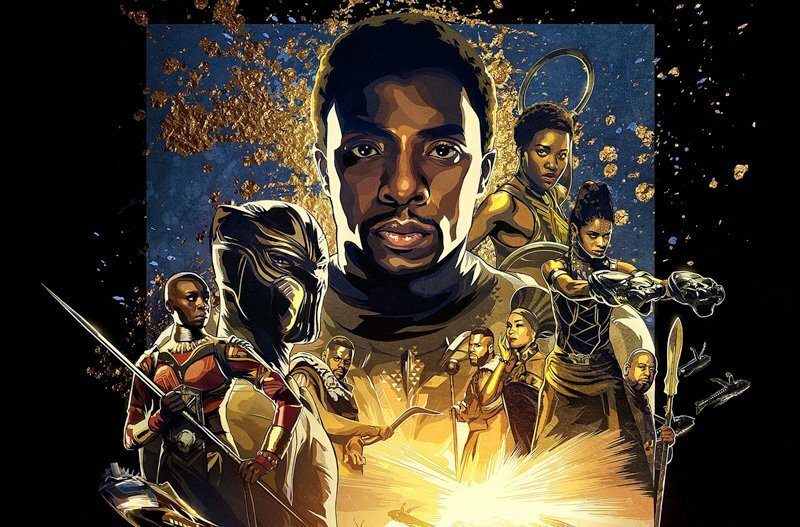 Chadwick Boseman (Marshall, Captain America: Civil War) tweeted the Black Panther IMAX poster, and it is dripping with that graphic novel goodness. See the poster in its entirety in the gallery below! The stylized artwork perfectly evokes the old-school, high-drama sci-fi adventures of pulp action comics. The prominence of gold throughout the poster also emphasizes the theme of royalty that pervades the film’s narrative. 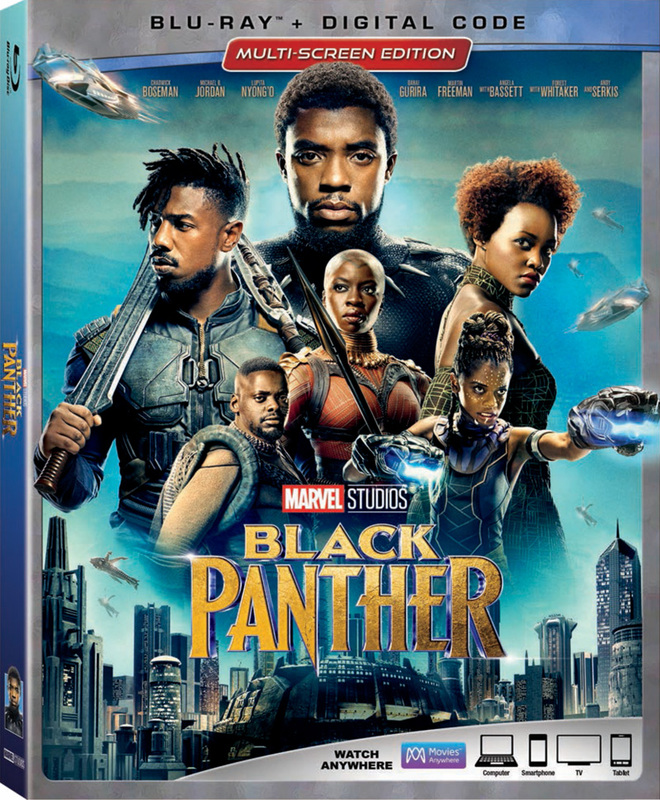 Smack dab in the center is of course the star, Chadwick Boseman, as Wakandan king-to-be T’Challa and the titular Black Panther. Directly to his right is Lupita Nyong’o (Star Wars: The Force Awakens, 12 Years a Slave) as Nakia, talented agent of the Wakandan special forces Dora Milaje and former lover of T’Challa. Dual-wielding weapons is Letitia Wright (Urban Hymn, Humans) as Shuri, tech genius and T’Challa’s 16-year-old sister. Veteran actors Forest Whitaker (Arrival, Rogue One: A Star Wars Story) and Angela Bassett (Olympus Has Fallen, What’s Love Got to Do with It) play Zuri, elder Wakandan statesmen, and Ramonda, Queen Mother of Wakanda, respectively. Danai Gurira (The Walking Dead, All Eyez on Me) cuts an imposing figure in the front left as Okoye, the leader of the Dora Milaje. Daniel Kaluuya (Get Out, Sicario) is to the right of the costumed Wakandan superhero, and he plays W’Kabi, the head of the Border Tribe’s security and T’Challa’s best friend. Rounding out the characters in this glorious poster is Winston Duke (Modern Family, Person of Interest) as M’Baku, the leader of the Jabari mountain tribe and opponent to T’Challa’s claim as king of Wakanda. Black Panther is out in theaters on February 16, 2018.